47 Herbert St, Artarmon, NSW, 2064. Families, parents, and kids of all ages welcome at this fun and informative get together. Morning tea to be provided. 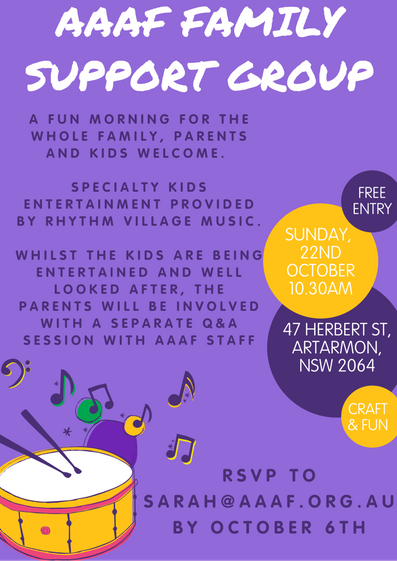 Whilst the kids are being entertained with a musical workshop run by the wonderful Rhythm Village, parents are invited to take part in a Q&A and discussion session run by the team from AAAF. Hosted at the offices of Variety – The Children’s Charity.